I often wonder what would it sound like to hear God walking in the garden…would there be a mighty roar of wind?…would there be a gentle rustling of leaves?…would there be the sound of God’s footsteps?…or perhaps ‘the sound of the Lord’ relates to a sixth sense, a ‘spirit to Spirit’ sense that Adam and Eve were aware that the Lord was in the garden. Indeed, God did create them in His image [Gen 1:26-27] – which would include a spirit, as well as the soul and body. And the mystery of God’s presence being in the garden (more than in any other place) really points to God having a form which, for me, points to Jesus. So my long bow with this verse is that from time to time, or probably daily (knowing the love and character of God), Jesus would walk with Adam and Eve in the cool of the evening (as He also did with His disciples when He was here on earth). You know, I believe sometimes we can get caught up in the harshness of the Old Testament and we can really miss this altogether – How great is the Father’s love is for His creation and how He longs and loves to fellowship with it (and how disappointed He must have been that Adam and Eve were attempting to hide from Him). In any case (even if you do not agree with the above), Adam and Eve were familiar with the ‘sound of Lord’ and they knew He was in the garden and yet they did not go to Him as I suspect they usually would have, because of their sin. Fellowship and relationship with God was broken that day and instead of perhaps running to Him they hid from His face. This was a very sad day for humanity and for God! Jesus came to restore everything that was lost through Adam at ‘the fall’! To understand what has been restored through Jesus let us have a look at what has been lost through Adam. Through Adam relationship and intimacy with our Heavenly Father have been lost. Our inherited sinful nature rebels against God and His Word. The penalty for our sin and rebellion is death and Hell. We are lost, we are condemned, we are without hope, we are without a purpose, we are without a future, and we are completely powerless and helpless to do anything about where we are heading. There is no way of escape and, because of God’s perfect judgement, nor do we deserve a way of escape. Jesus came to restore everything that was lost! Through Jesus and His death and resurrection, our judgement and condemnation has been fully paid for through Jesus’ sacrifice on the cross. We are no longer lost but we are saved by God. We are no longer hopeless but now have great hope in our Saviour and we live in the purposes and calling of our Heavenly Father which He has planned for us before the beginning of time. We are no longer powerless and helpless against the schemes of the enemy but we have given given authority in the name of Jesus through his great victory over the devil at the cross. 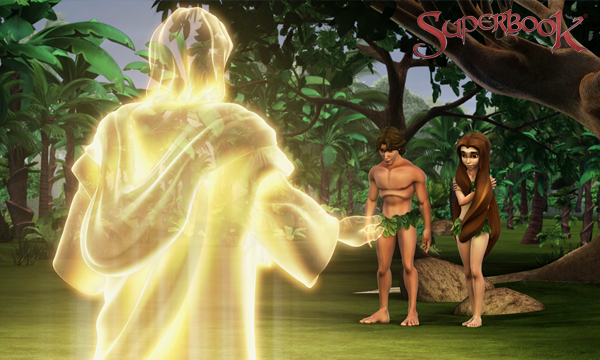 The authority that had been forfeited by Adam has been restored by Christ. The devil doesn’t even have the keys to His own jails anymore. He is rendered powerless! All he has is lies and tricks. All authority has been given to Christ and to all who are in Christ, Jesus has given His authority. So if we don’t fall into a rebellious life or we are not tricked by the devil schemes we are truly free, free indeed [John 8:36] by the finished work of Jesus on the cross! Even further, as if this was not enough, Jesus came to give us far more than we could ever hope for or imagine[Eph 3:20]! Jesus calls us not to a life of mediocrity but a life of abundance! This abundant life that Jesus speaks of in John 10:10 is created by the Author and Creator of life himself. The One who gave us life is the One who can give us our best life. God knows all about us and He has made each one of us a perfect and abundant life plan for our lives – imagine a life to the max – a life overflowing in abundance! A life of perfect peace! How can this be possible? What was life like in the Garden of Eden before the Fall and how do we get back there? a place created by God for Adam and Eve to live and enjoy. a place where God could enjoy and commune with His creation. a place for Adam and Eve to fellowship with one another and to fellowship and commune with God. a place for Adam and Eve to rule and to have dominion over all of creation. a place that displayed the magnificence, creativity and glory of God. I’ve had a revelation (which I don’t mind if you accept or reject) the Garden of Eden is no longer a physical place but a Spiritual place. If the Garden of Eden is no longer a physical place but a Spiritual place how do we get back there? Just before Jesus ascended He said to His disciples “don’t leave Jerusalem until you are baptized, empowered and united with the Holy Spirit” [Acts 1:4-5]. The key here is a life empowered and guided by the Holy Spirit. The Holy Spirit comforts us, gives us peace, teaches us, counsels us, encourages us, exhorts us, gives us wisdom, gives us Spiritual gifts to help others, helps us to worship God, convicts us of sin, gives us strength, shows us the truth, guides us, helps us to pray, produces fruit in our lives – love, joy, peace, patience, kindness, goodness, faithfulness, gentleness and self-control, and is always with us everywhere we go. The Garden of Eden or Utopia or Shangri-La or Paradise or any other place of contentment or peace or rest are not found in a physical place but found in a place in our heart where Jesus comes to live with us by His Spirit. True contentment or true peace or true rest for our souls is found in Christ alone. This is not a physical place (like the Garden of Eden) but it is a Spiritual place. It is a position or posture of our heart to receive the Good News about Christ, and to receive the infilling of His Holy Spirit. Then, as God’s Word says, “our new, real life is hidden with Christ in God” [Col 3:2-3] – the safest, most peaceful, most restful and most contented place we can find! See why in Matthew 13:1-23. Communication and fellowship as it should be – life in the garden.